Kirti works at the interface of water and agricultural issues in the Columbia River Basin, and more broadly Western United States. Her background is in biophysical modeling of systems, and integration of economic and biophysical models. She is very interested in applied research that translates to rich decision support tools for a variety of stakeholders. 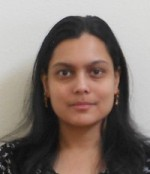 Kirti has a Ph.D. in Civil Engineering from Washington State University, and MBA from Iowa State University. She has previously worked at Deere and Co. and as an independent consult in marketing analytics.